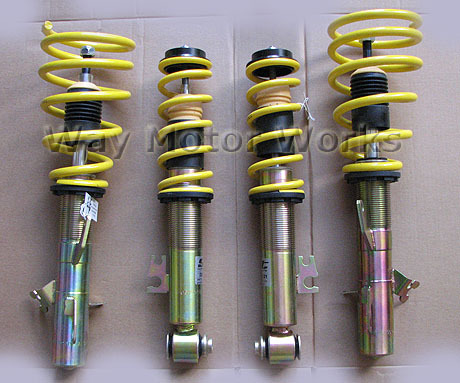 ST Coilovers for 2007-20012 R55,R56,R57, R58, R59 MINI Cooper and Cooper S, Coupe, Roadster and Convertible. These ST Coilovers also called Speedtech coilovers are made by KW suspension, but a lower cost alternative to their KW line. Very similar to the KW V1 coilovers in design. Adjustable ride height ONLY, no dampening adjustment.